With contrasting landscapes and an ever-changing coastline the Isle of Wight has some of the best and most varied beaches in the country, perfect to visit at any time of the year! Celebrate Blackgang’s 175th Birthday in 2018, and make family memories that will last for generations. 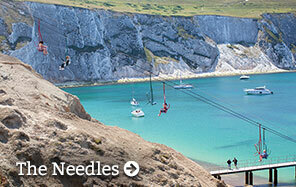 Take a ride on the world-famous chairlift down to the beach to see the iconic chalk rock formation and coloured sands! A top family action attraction: all-weather, outdoor, racing driver experience for 3-103 year olds. Take a look on our Google and TripAdvisor reviews and don’t miss out. With such a wide variety of things to do on the Isle of Wight during your holiday, you’ll want to come back again and again. Whilst you won’t be able to fit everything into a single visit, we’ve highlighted some of the great attractions, activities and places to visit for you to choose from. You can even build your very own itinerary of things to do by clicking the “ADD TO MY POCKET” button next to any listing, then review it using the Heart Icon link at the top right-hand corner of your screen. If it is new experiences you are looking for, try visiting the Island for one of our fantastic events or festivals, such as the annual Isle of Wight Festival. Whatever your age or interests, Shanklin, the well-known, charming traditional seaside resort is packed with things to do from historic attractions to a theatre that provides entertainment for all ages. Attractions and places to visit are in plentiful supply on the Island, with something to suit everyone. Get a taste of the Isle of Wight’s history and culture by visiting one of our museums, galleries and historic sites. Possibly the Island's most recognisable landmark is The Needles Rocks and lighthouse, nearby to which The Needles Landmark Attraction is full of things to entertain all the family. Go wild at Tapnell Farm Park located close to Yarmouth. 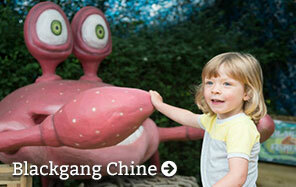 Meet the resident animals, spend time enjoying the play barn and get even closer to nature at the farmyard barn. Alternatively, keep the kids entertained at a fun park like Robin Hill Country Park or by visiting one of our fantastic animal attractions such as the Isle of Wight Zoo. For an engaging, inspiring and exciting day out for casual visitors and families alike, visit the award-winning Isle of Wight Steam Railway, based just outside of Ryde on Havenstreet, and take a ride behind one of their vintage steam locomotives for a special journey back in time. Swing on by to Monkey Haven – the happiest attraction in Newport! You’ll meet all kinds of wonderful creatures at this popular animal sanctuary, including the singing Lar Gibbons, cheeky Meerkats, slithering snakes and the cutest owls. 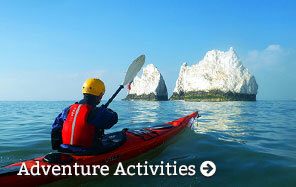 If you enjoy outdoor activities, the Isle of Wight has it all. The stunning coastline and warm climate mean that this Isle of the perfect playground for those who love the outdoors. Walking, cycling and horse-riding are freely available for those of all abilities, with more than 500 miles of footpaths and established walking routes, and 165 miles of bridleways waiting to be discovered. If you’re after something a little more extreme, you can try your hand at one of many adventure activities such as tree climbing, paragliding, or sailing, with several top class events taking place throughout the year. There are also plenty of water sports for you to get involved in throughout the year. The Isle of Wight also has a number of golf courses, many of which are set against picturesque backdrops, making it the perfect place for a golf weekend break or holiday. A visit to the Isle of Wight wouldn’t be complete without visiting some of our famous beaches. The Island currently has the highest number of award-winning beaches in England, all managed to the highest standards. 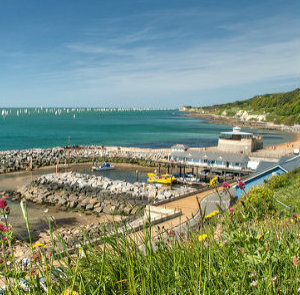 One of the best ways to see the beautiful coastline of the Isle of Wight is from off-shore, and there are a number of sailing and boat charters available throughout the year. These range from leisurely sight-seeing tours to sailing tuition and more “hands on” sailing experiences. For Fishing enthusiasts there are also charter boats available. Get closer to nature by enjoying a countryside walk, where you will find a whole host of local wildlife including red squirrels and some unique butterfly species – you can also see a great variety of birds which take advantage of the many different habitats on the Isle of Wight. 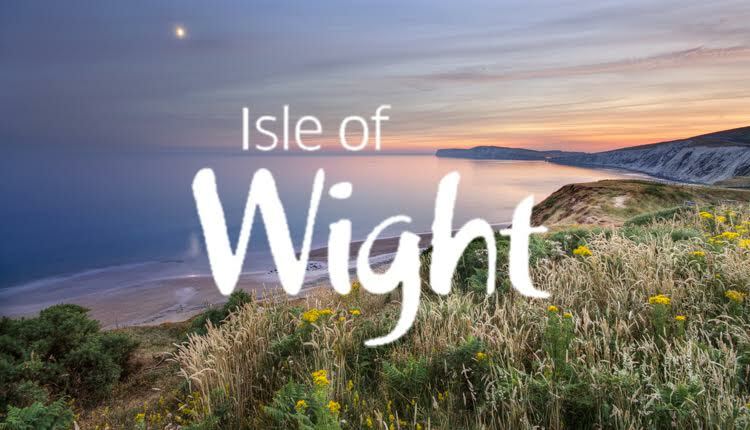 Let's also not forget that the Isle of Wight is one of the richest places in Europe for dinosaur heritage, and there are a number of walks and attractions available showcasing the best of the Island’s fossil collection. Finding great places to eat is one of the highlights of any holiday, and the Isle of Wight offers a fabulous array to cater for all tastes and appetites. As soon as you step off the ferry you will be spoiled for choice, with an abundance of afternoon tea rooms, country pubs, quality restaurants and beach-side cafes. Every town and village across the Island will have places to tempt you. 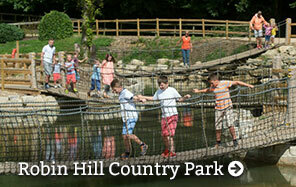 Whether you are looking for family friendly or gourmet dining, the Isle of Wight is truly unique in what it can offer. There are many shopping opportunities on the Isle of Wight for those looking for some retail therapy. The artistic heritage of the Island means that there are plenty of arts and craft outlets, selling everything from handcrafted jewellery to sculptured glass and wood carvings. There is also a range of fantastic locally produced food and drink available, with local restaurants, farm shops and the weekly Farmers’ Market catering for all your needs. If you are planning to visit some of the many attractions and landmarks on the island, then you will probably want to book some accommodation. Fortunately, there are plenty of different types of accommodation to choose from, including hotels, B&B's, self-catering apartments, holiday cottages, holiday parks and campsites. Throughout the year many Isle of Wight attractions & activity providers run special offers and discounts which you can take advantage of during your visit. For a list of current offers and discounts click here.